The 2014 Grammys gave us some fantastic musical performances — but there were a few missing moments that would have made the ceremony truly memorable. Beyoncé practically conceived Blue Ivy’s baby sibling with that chair, but she didn’t so much as lay a finger on her husband, Jay Z. Why was there no surfboard riding? At least the chair got some action — and pretty hot action at that. Robin Thicke got more press in one night than he did all year after Miley Cyrus twerked all over him at the 2013 MTV Video Music Awards, but his performance with Chicago was positively chaste by comparison. Why didn’t Peter Cetera get his twerk on, too? Katy Perry and John Mayer are the musical couple of the moment, yet the “Daughters” singer was absent from the show. Too bad, because a duet performance of “Who You Love” would have been the perfect opportunity for Mayer to pop the question — and they could have tied the knot during Macklemore’s performance! Pharrell rocked the Smokey Bear hats all night, so we were really disappointed he didn’t show up in a forest fire PSA during a commercial break. We were also really disappointed in his manpris. Those have got to go. 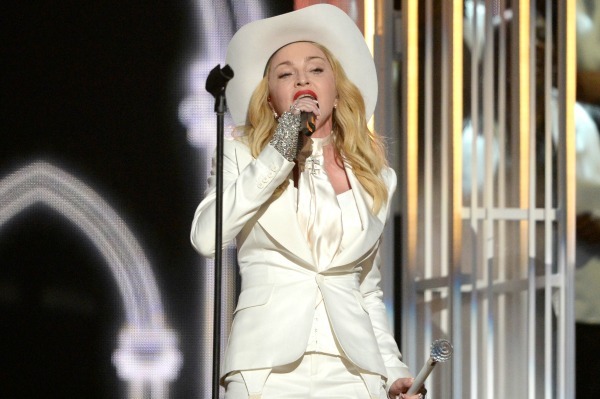 Madonna donned her best Colonel Sanders suit to serenade 34 couples while they were wed by Queen Latifah. The only thing missing was her bucket of chicken — we would have loved to see her really chow down. Tell us: What would you like to have seen at the Grammys? 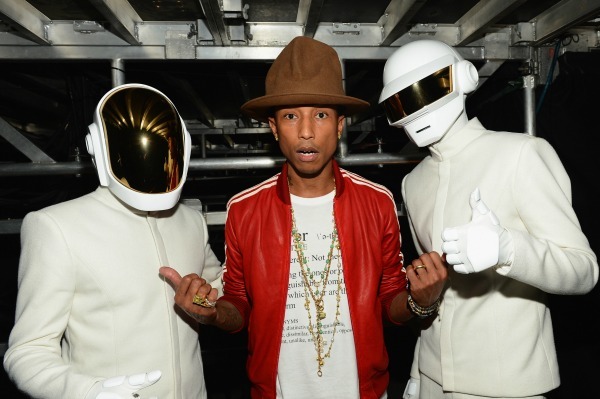 Did Taylor Swift almost pull a Kanye on Daft Punk at the Grammys?